Remember my recent post about Fernando IV? I began by describing just how tumultuous the reign of his father was, Sancho IV being plagued by one rebellion after the other. Why? Because very many felt Sancho had usurped the throne, thereby setting aside the rights of his little nephew, Alfonso de la Cerda. I bet quite a few of those rebelling against Sancho also thought life would be much easier in a country nominally controlled by an untried youth than it was under Sancho’s capable, if somewhat hard-handed, rule. Our protagonist’s full name is Alonso Perez de Guzmán, and it is thought he was born around 1256. Where he was born is up for debate. According to the chronologies written in the 16th century by his descendants, the dukes of Medonia Sidonia, this gentleman was of impeccable Spanish lineage, having been born in León. According to some documents that survive from the 13th century, it would seem he was born in Morocco. In fact, some say, he may have been a Moor, which would have been cause of major embarrassment for his 16th century relatives, when purity of blood was a big thing in Spain. It would not have been an issue at all back in the culturally very diverse and religiously relatively relaxed 13th century. The reason why some historians believe Guzmán was from Morocco is that a surviving document gives him the right to export wheat to “the country he came from”. Such exports ended up in Morocco, and adding these two facts up, it seems likely Guzmán did come from this northern African country. Who knows: maybe he was one of those intriguing Tuaregs. If so, I wonder if he had a preference for indigo coloured clothes. I must hasten to add, though, that most historians believe he was born on the Iberian Peninsula somewhere, probably deep in the Moorish heartland of Andalucía. 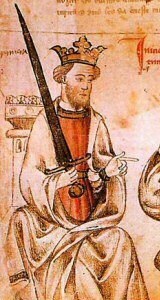 Whether of Moorish descent or not, Guzmán was a practising Christian and proved himself as a loyal servant to first Alfonso X and then, once he’d accepted Sancho as his king, to his son. Fortunately for Guzmán, Sancho could not afford to bear grudges: he needed loyal men to help him defend his Castilian kingdom. At first, Juan was all ooze, but Sancho’s younger brother was merely biding his time. In 1294, rebellion exploded yet again. This time Juan invited the Marinids of Morocco to join the party and together with his new boon companions he set out to besiege Tarifa, a recently reconquered town and castle that was being held on behalf of the king by none other than our Guzmán. Juan may have believed Guzmán would be delighted to join in an opportunity to overthrow the usurper and help set the no-longer-quite as-young Alfonso de la Cerda on the throne. He was wrong. Guzmán had earned the king’s trust and respected Sancho. So no, he had no intention of surrendering Tarifa to Juan and his cronies. This Juan did not like. But he wasn’t unduly fazed. After all, Juan had an ace up his sleeve. The ace was Guzmán’s son, who at the time must have been somewhere between ten and fifteen. When Guzmán refused to surrender, Juan had the boy hauled before the walls of Tarifa and told Guzmán that either he opened the gates, or young Pedro would die. History has several occasions when young hostages have been used to put pressure on their parents. I think the occasions when the strategy worked are rarely conserved in memory, as reasonably most parents would do what they could to make sure their child survived. But for a man of honour giving in to Juan was not an option. I picture Guzmán pacing the battlements, praying to God for guidance, talking for hours with his wife. In the end, there was no choice—both Guzmán’s wife, Maria Alonso Coronel, and the man himself agreed on that. Maybe they hoped Juan was bluffing, that ultimately he would stay his hand. Maria wept. She prayed. Guzmán followed suit, begging the good Lord to keep his child safe—or at least receive the poor boy in His heaven. After hours of internal turmoil and torment, it was with a heavy heart Guzmán returned to the walls. Guzmán looked down at the smirking infant, likely wishing him to hell and back. He pulled his dagger and held it aloft. The blade glinted in the sun. For those familiar with English history, the incident above likely makes you recall the occasion when King Stephen threatened to kill the very young William Marshal unless his father, John Marshal, surrendered. Yet another man made of steel, John Marshal responded that he had the anvil required to make more sons and would not dishonour himself by giving in to such a pathetic threat. Stephen, being Stephen (IMO one of the more likeable medieval kings) did not go through with his threat which in the long run probably severely weakened his position but likely had him sleeping better at night. 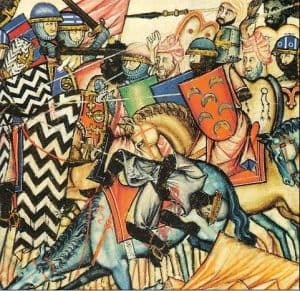 Despite killing young Pedro, despite ordering his head sawn off and catapulted into the besieged city, Juan and his allies never took Tarifa. 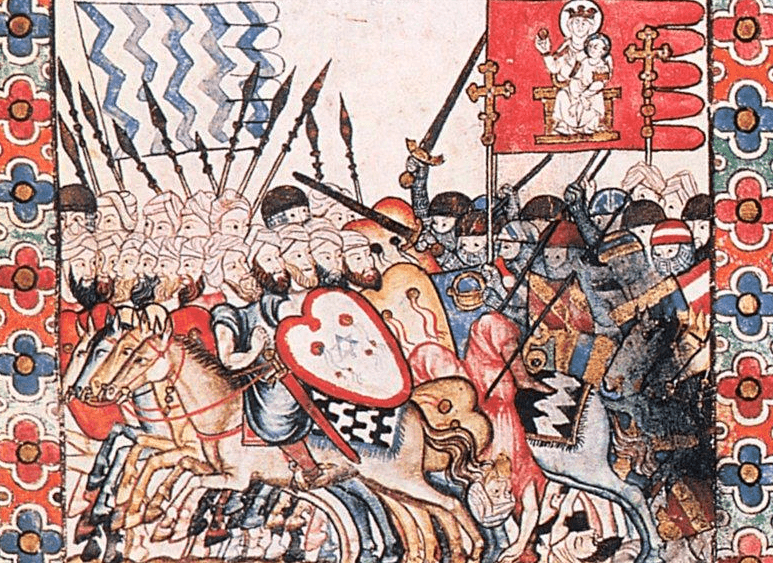 Having lost his son, Guzmán was determined to withstand the siege and his attackers had no choice but to lift the siege. I imagine Guzmán stood on his walls and watched them ride away. A sour victory, one that tasted of ash and bile, no matter that the king would reward him with the fishing rights to tuna in the nearby waters. Juan would go on to become something of a permanent burr up the arse of his brother and then his very young nephew, Fernando IV, and his mother, Maria de Molina. Constantly out to feather his nest, this man would entice the king of Portugal into invading Castile, would make deals with the king of Granada, with the king of Aragón, with his older, displaced nephew, Alfonso de la Cerda. For some odd reason, no one grabbed hold of him and chopped his head off. Yes, there was an occasion when Guzmán was sent off to bring Juan down, and our haughty prince fled head over heels, no doubt fearing just what Guzmán would do to him should he get hold of him. But Juan survived even this and went on to become very rich and powerful. 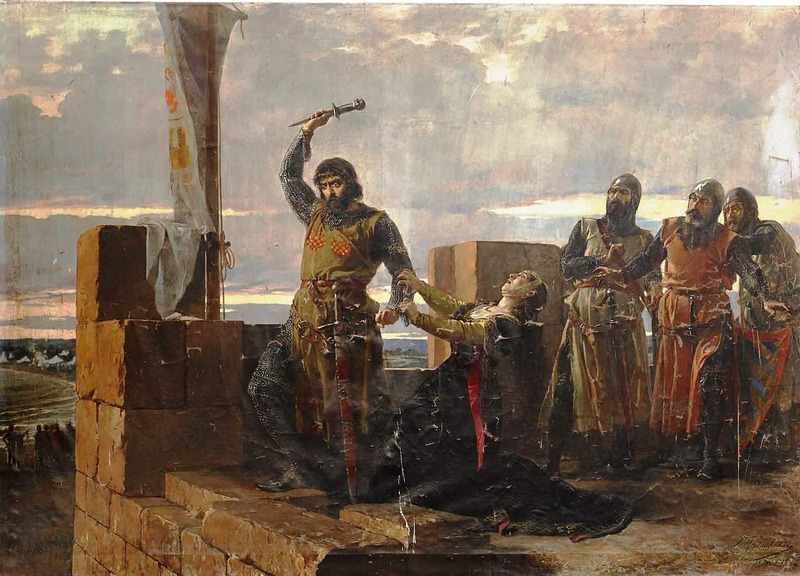 In 1300 he also made his peace with his family, became the tutor for Fernando IV’s son and would ultimately lose his life defending Castile against the Moors. Somehow, I don’t think this means Guzmán ever forgave him for murdering his son. As for Guzmán, he was to amass lands and riches in the service of his king. 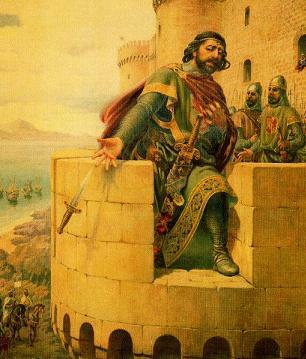 In 1309, he was one of the commanders in the Castilian army who wrested Gibraltar from Moorish control. That same year he died in the field, yet again defending Castile against the Moors. He was buried in the monastery of San Isidoro del Campo, a religious house he had founded back in 1301. To this day, he still lies there, side by side with Maria Alonso Coronel, the wife who gave him so many sons and daughters, including the oh so unfortunate Pedro. WOW What a story. Thanks for telling it.